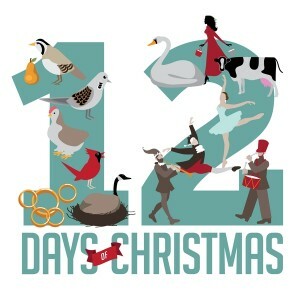 Home | Blog | The 12 Days of Christmas? How about the 12 Days of national accounts…? On Day 1 Robin Crusoe catches fish and breaks open coconuts. She consumes everything. Income=consumption=GDP. She is very happy. On Day 2 she makes a spear to that she can catch fish more quickly. At the end of the day she values her spear at her estimate of the market price and records a physical asset in her accounts. Her GDP stays about the same: lower consumption offset by investment in capital. She’s still happy. On Day 3 she spends time learning how to use her spear more effectively. While training, she doesn’t catch as many fish. Her GDP falls because, as a good statistician, she knows that human capital is outside the asset boundary of the national accounts. She’s not quite so happy because she has to write a footnote to explain the fall in GDP. On Day 4 she uses her new skills to catch more fish. Her GDP and productivity jump dramatically. Another footnote needed. On Day 5 she spends some time thinking about how to reduce wastage when cracking coconuts. She ponders whether this represents an investment in an intellectual property asset, but decides that, in principle, she couldn’t restrict the knowledge if Man Friday turned up and watched her work. Another fall in GDP. Another footnote. On Day 6 she reaps the benefit of her better way of cracking coconuts. GDP rebounds. Another footnote. On Day 7 she rests. She goes for a walk in the hills and has a swim. She feels refreshed. GDP collapses to zero. Another footnote. On Day 8 she notices that there is a growing pile of broken coconut shells lying around. She worries a bit about this, even though GDP has rebounded. On Day 9 she has to work more slowly to avoid hurting her feet on the coconut shells. GDP and productivity fall. Another footnote. On Day 10 she spots a massive ship on the horizon. Unfortunately, the ship (being autonomous, and not programmed for rescues) doesn’t spot her. Worse, the ship turns out to be a fishing trawler that scoops up the fish that breed in the waters adjacent to the island. But she doesn’t own the fishing rights, so she doesn’t record any loss of assets. Now it takes five times as long to get enough fish to survive on. GDP plummets. Another footnote. On Day 12 she resolves to spend less time writing footnotes and more time thinking about how to better represent in her national accounts her capacity to produce things and enjoy life. This blogpost is based on Chapter 5 of Cambridge Econometrics’ shortlisted Indigo Prize entry entitled: “Virtually ignored – how we’re failing to measure the 21st century economy”, by Sachin Babbar, Michael Lee, Richard Lewney & Jack Spencer.